I often hear people using the expression “a whole nuther.” As in: “That’s a whole nuther thing.” A local football coach was quoted in the paper using it recently. No dictionary I know includes nuther. 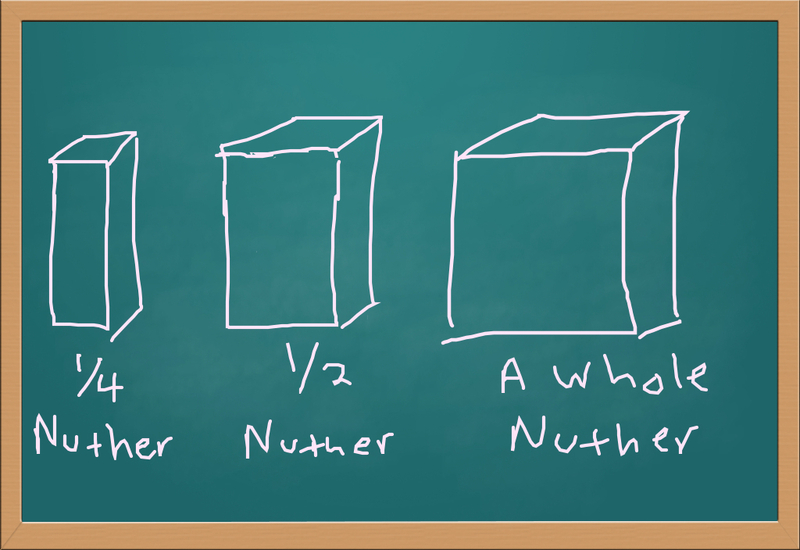 I don’t believe anyone who uses the expression would even argue that nuther is a legitimate word. 2) Reanalysis: The other theory is that people confuse another with a nother, and are simply applying the adjective whole to the second word. This sounds odd, but it’s a linguistic occurrence called reanalysis. It’s how we now have the word apron. It derived from the french word naperon. People misconstrued “a naperon” as “an aperon.” Crazy, but true. Either explanation works for me, but it was interesting to learn, by just doing some Googling, that it’s a matter of some debate. 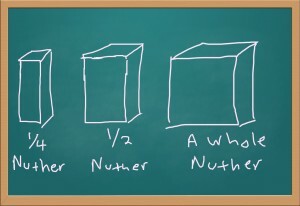 The question remains, of course, whether “a whole other thing” or “another whole thing” are adequate replacements for “a whole nuther thing.” Should we just accept it as common usage? Can you share any of the other “special” words? I’m glad this one doesn’t bother you, Randi. I had a college professor- education dept. from out west who used this expression regularly ( if I remember correctly) There were other special words. I think it adds charm.